NDOT is going to be hosting a public meeting in Minden on March 29, about their idea to put a roundabout at County Road and Hwy 88. 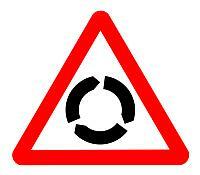 The state seems to be on this big roundabout kick the last couple of years. There is the one they installed on Fifth Street in Carson City, and the Arrowhead Drive exits on the new freeway are roundabouts. And now they’re trying to push Minden to have one, even though they’re meeting with resistance on every level. So they’re having this public forum, where they’ll try to convince Minden residents that they really do want a roundabout, and that once they have one they’ll come to love it. Residents, on the other hand, want a traffic signal at the corner. I think that NDOT’s big issue is that they have a problem with traffic lights. They fought the idea of putting a stoplight at the intersection of Mottsville Lane and Hwy 88 in the Carson Valley for years, thinking that larger stop signs and flashing lights would reduce the number of accidents at the corner. They didn’t, and the State finally caved and put in a light. This is the route everyone takes to get to and from Lake Tahoe, even though NDOT would rather have you drive up Muller Lane to Foothill and then along there. Nobody does, unless they’re in the mood for a scenic drive. Then NDOT fought hard against putting a stoplight at Stephanie Way and Hwy 395. There was even a death at the intersection, a death that would have been prevented by a light, and still they resisted. It wasn’t until the public outcry grew too big and attracted too much media attention that they relented, and now there’s a stoplight planned for sometime in the unknown future. Now it’s County Road. 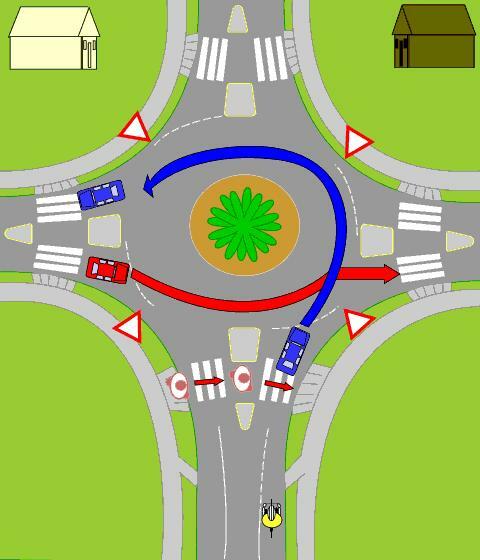 This intersection, right by the Carson Valley Swim Center, in my mind is right on the border of needing some kind of control. Unless you’re there at just the wrong time of day, there are usually huge gaps in the Hwy 88 traffic that make turning easy. But with the population of the valley growing all the time, and County Road being the only side street to avoid Hwy 395 traffic, I can see where the intersection might be reaching the danger level. So maybe that’s why NDOT wants to put a roundabout there, because there isn’t enough traffic on County Road to justify a signal, but we need something. But the agency has said they’ll respect the wishes of the community, whatever they may be, so you can expect this meeting next week to be mainly focused on convincing residents that they really do want a roundabout, they just don’t know it yet. The meeting is Wednesday, March 29th at 7:00pm. at the C.V.I.C. Hall in downtown Minden. If you live in the Carson Valley, and you’ve got an opinion on the issue, on way or the other, you should show up.